Was it more ironic or appropriate that the biggest controversy facing Virginia’s Democratic Governor Ralph Northam last week was over an alleged med-school picture that emerged of him appearing in “black face” or KKK garb, or his support of a late-term abortion bill in his state that eventually failed to pass? Of course the nature of American culture and its mores being what they are today in a land of political correctness, the greatest irony I found was the mainstream press’ fixation on the racist photos of his 1984 medical school yearbook rather than the fact that Governor Northam endorsed a failed piece of legislation that cannot be honestly described as anything other than legalized infanticide (the act of killing an infant). If a mother is in labor, I can tell you exactly what would happen. The infant would be delivered. The infant would be kept comfortable. The infant would be resuscitated if that’s what the mother and the family desired and then a discussion would ensue between the physicians and the mother. The governor of Virginia, a former physician who once took an oath to “do no harm”, gave carte blanche to the idea of parents of a new-born child having a discussion of whether or not to murder that child by denying it medical attention. Mind you, this is more than main-stream abortion we’re talking about, which is a legal and heinous enough act allowed to take place at any time of a pregnancy, snuffing out the life of an unborn child from conception to the point of birth. No, this is the advocacy of a ‘procedure’, which as per the pro-abortion bill just signed into law by New York governor Andrew Cuomo (on the anniversary date of Roe vs. Wade), can legalize the ‘neglect, choking, or smothering of a baby that somehow has survived the lethal injection and knife cuts designed to kill during the abortion procedure itself’ as pro-life spokesman John Ensor noted. Another irony in all this is the idea that pro-abortion rights and legislation is all about the health of the mother, to the complete and utter disregard of the health and rights of the pre-born and even newborn child. Guess who the lone patient is in this scenario? Hint: it’s not the child. Guess who decides the “necessity” of such a “procedure”? Same clue: not a representative for the child whose life is in danger. Indeed, not only has “the road to hell been paved with good intentions” but also clearly with the worst of intentions in parallel instances over history. Now as we have entered into Black History Month, we can briefly reflect on the colonial time of American history (and in much of western civilization) when African residents, aliens and later Afro-American citizens were regarded by many as little more than ‘animals’ and property from an inferior race, to be relegated to nothing better than indentured slavery or other menial labor. Again, as recently as just a generation or so ago via segregationist policies, we saw a time where legislation was enacted in this nation in the best interests of one protected class of people thought to be superior to another, at a time of not only biological ignorance, but due to pure, unadulterated evil and disobedience to the revealed will of God. You would have thought our country and its leadership would have learned the lessons of World War II and the Nazi regime of the mid 20th century, where the government of Hitler’s Germany relied heavily upon Darwinian evolutionary theory, to develop and implement policies like eugenics; the practice of controlled selective breeding of human populations as by sterilization to improve the population’s genetic composition designed to protect the ‘superior race’. Curiously, such thinking was rooted in the ideology of a native New Yorker, named Margaret Sanger, who would become the founder of Planned Parenthood, and whose main concern just a few decades before Hitler’s Third Reich was reducing the population of the ‘less fit’, including ‘inferior races’ such as ‘Negroes’. This American pioneer of the pro-abortion movement, as early as 1917 was openly giving ‘public support to the eugenics movement’ and to ‘race betterment’ programs according to a Sanger biographer. She opened her first birth control “clinic” in 1916 in the impoverished Brownsville section of Brooklyn to help control the problem of ‘over breeding’. Interestingly enough, that same abortion strategy continues unabated and unreported by secular media today with the proliferation of abortion centers in low-income, minority communities (see the Jan. 23rd MCT blog, Why Isn’t Abortion THE Social Justice Issue Today?). 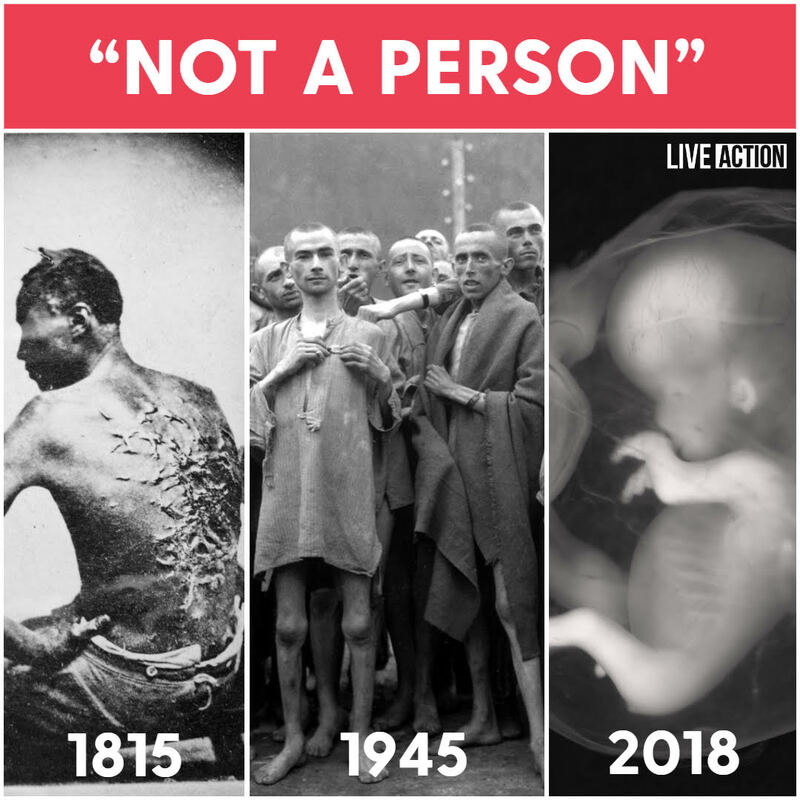 So, what does racism, the institution of American slavery and segregation, the practice of eugenics, discrimination and the Nazi holocaust all have in common with modern-day abortion? Simply at its roots, the devaluing of the inherent sanctity and dignity of all human life from womb to tomb, created in the image of God, by those that are advocates for ethnic and biological superiority of certain classes of humanity and/or as in the case of today’s “progressives” or liberals, calling for unlimited sexual freedom in the midst of America’s current, moral revolution. Those are today’s roads to hell being paved with good intentions. God through the prophet Isaiah, warned Israel of such roads to come in their future hundreds of years ago (Isa. 5:20-21) and the apostle Paul did the same two millennia ago, declaring there be would times to come in human history where man would reject and rebel against God, conscience and the moral law God gave to mankind (Ro.1:18-23), roads paved smoothly by the enemy of man’s soul. May God’s people give voice to the most vulnerable and voiceless among us and pray for the Lord to help us return to him and to a peaceful path (1 Tim. 2:1-2) from the well-traveled and dangerous roads of the not too distant past and present. This entry was posted in Uncategorized on February 5, 2019 by mycaptivethought.